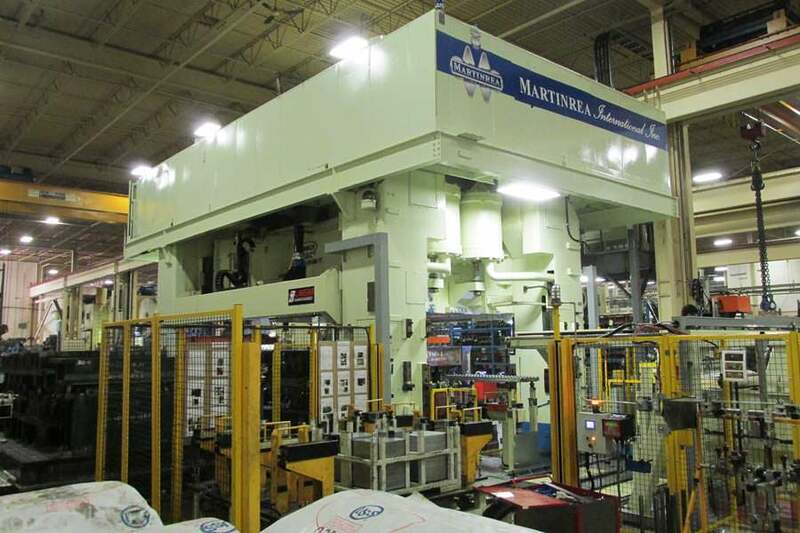 As an industrial painting company, Induspray provides services to the Lansing, Michigan area. 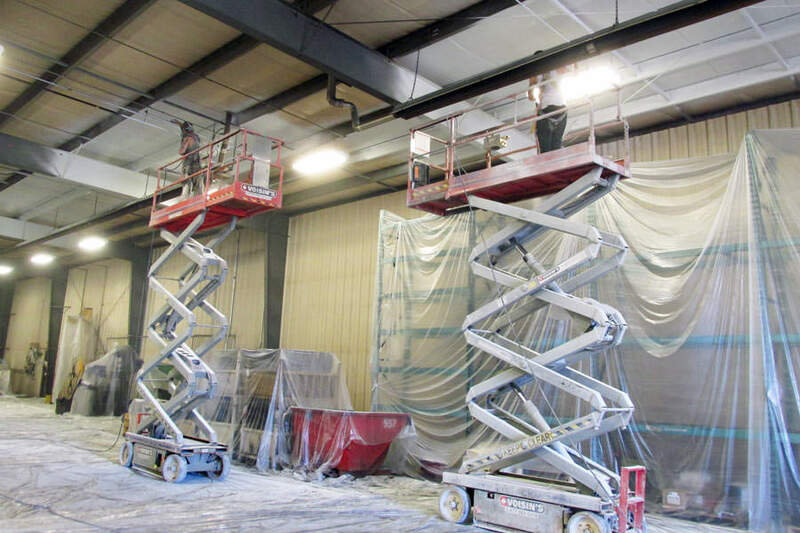 We are highly experienced contractors who specialize in professional painting as well as the restoration of industrial buildings, factories, warehouses, manufacturing plants, and commercial buildings. Induspray has the capability of painting both the inside as well as the exterior of these buildings, and we are experts in the large jobs which first require cleaning up, and older facilities that need a lot of deep cleaning and surface prep. 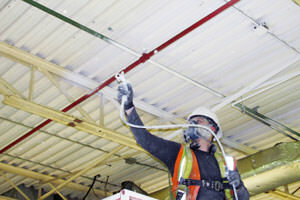 In addition we can also spray paint deck ceilings which are composed of metal or steel. 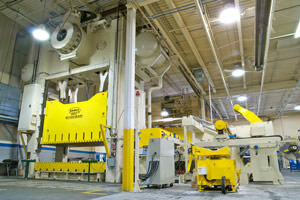 At Induspray, we want your industrial painting project to last as long as possible. Our experience indicates that a clean solid surface at the time of paint application ensures an optimal bonding surface for paint to apply to. Guesswork is taken out of the process by guaranteeing a clean well-adhering surface originating in the first coat of paint. We believe in doing it right the first time. Creating a smooth, clean surface may be achieved by power washing, micro abrasion, sandblasting, air blasting and other advanced techniques. Because our employees are trained in all forms of paint application methods, we can always give you the results you require. Individual painting procedures are diligently decided upon to bring out the best results for your setting. Induspray’s industrial painters perform projects in Lansing and the surrounding area. 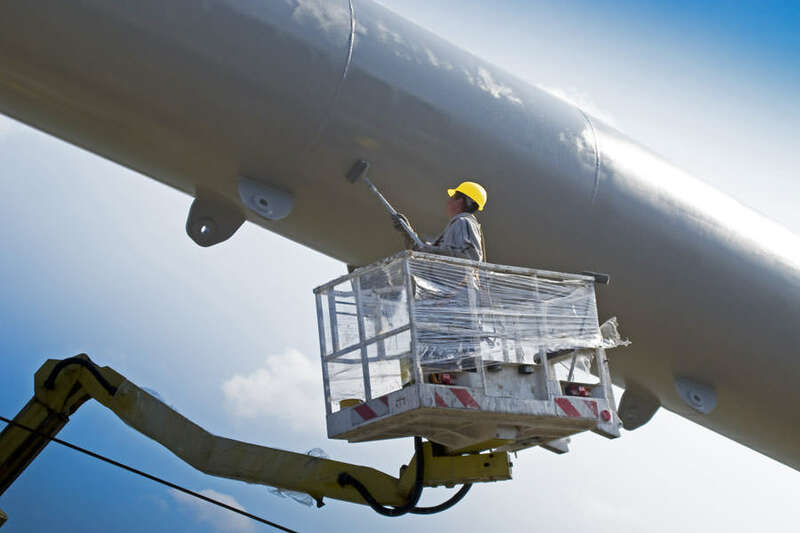 Induspray offers industrial painting services to nearly all industrial site types, including high and difficult-access situations. 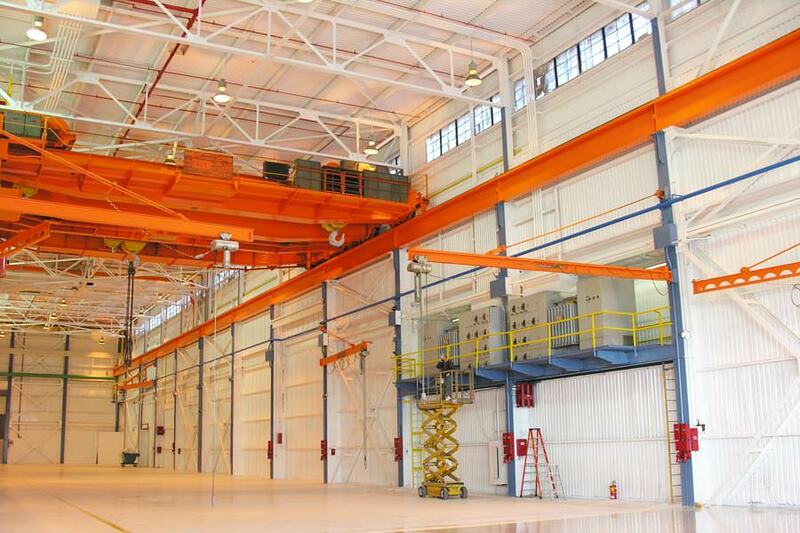 Competence in using lifts and hoists allows us to complete any area that is up high in your work site. Safety is taken very seriously by our team, and we always ensure that a job is completed properly. Induspray implements various paint coatings that are the most appropriate for your exclusive objective and in order to maximize the value. 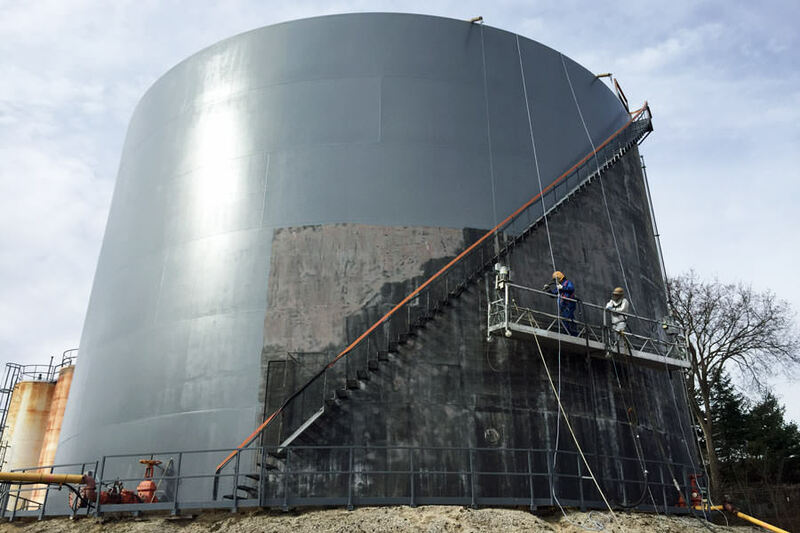 The best painting practices will always be performed regardless of the scenario and we may use paints/coatings that include epoxies, urethanes, polyurethanes, latex, oil-based, high-adhesive, non-slip coatings, low VOC (low emissions), dryfall paints, rust-specific coatings and more. Induspray guarantees the correct technique applied to your project for the best adhesion and overall bang for your buck. Induspray completes exterior projects with proficiency, and we carefully consider the extreme weather conditions encountered in Lansing, Michigan. 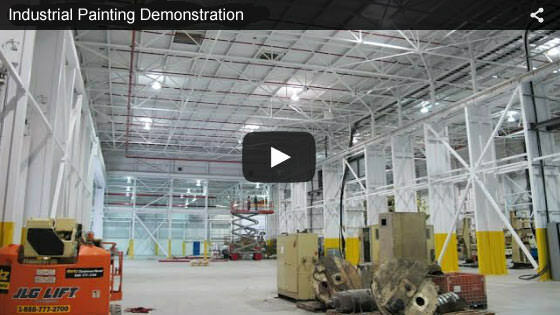 In addition, Induspray will complete your industrial painting project with safety in mind. Induspray is considered to be a top industrial paint contractor available to service the Lansing and East Lansing, Michigan areas. Our years of experience gained since 1975 gives us an edge over our competitors. There is no painting job too big for Induspray. Trained associates and proficient job site directors make up a powerful team, along with suppliers and provider deliver completed projects well within your budget and timeline. 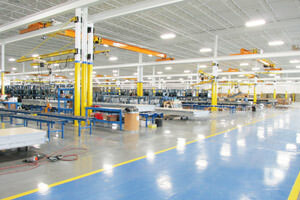 Large painting area projects require large amounts of coatings and related supplies. We purchase supplies in bulk, and are able to work out significant discounts and reduced supplier costs. Since painting supplies make up the majority of costs of most painting jobs, this grants us the ability to give you a substantial price reduction. In order to give you the best price for your painting project, we maintain good relationships and pricing agreements with our suppliers. Let Induspray be your painting company of choice in Lansing or East Lansing. If you are comparing painting companies by price and options, we’d like to hear from you. 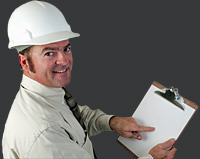 Our associates will analyze your project based on your unique requirements, and schedule an on-location viewing if necessary. After this, we will contact you about our optimized cost appraisal, and make recommendations on the best approach for your specific requirements. Our no-cost consultation and quote process gives you no reason to hesitate. Contact us today, we look forward to hearing from you. Our local Lansing, MI service area includes Greater Lansing plus East Lansing, Meridian Charter Township, Delhi Charter Township, Grand Ledge and Charlotte, located in Ingham County, Michigan. "The painting job for our facility in Lansing, Michigan was completed ahead of time, while the craftsmanship exceeded our expectations. We certainly look forward to using Induspray Painting for all our future painting requirements." Lansing, MI is located northwest of Detroit in Mid-Michigan, and is the state capitol. With a population of approximately 115,000, it is home to numerous industries and businesses, warehouses, and manufacturing firms/companies. 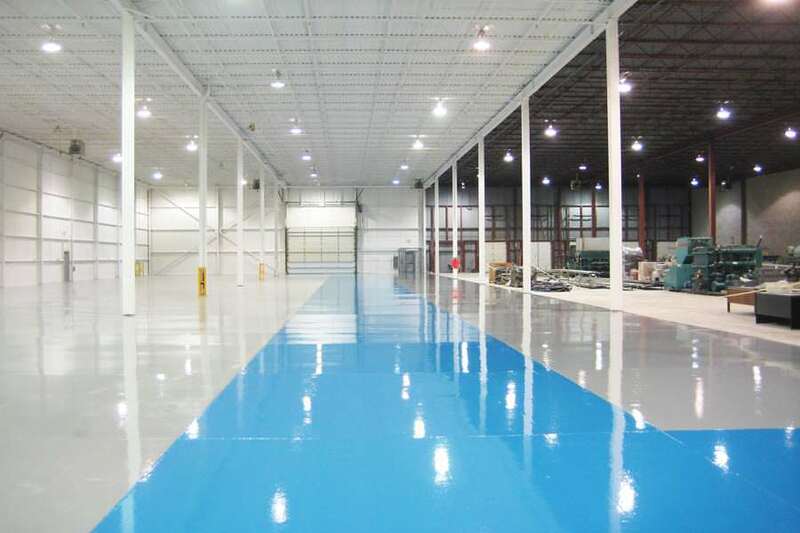 The area is served by several industrial painting contractors.